Online anonymity and censorship circumvention are attainable via fail-safe, automatic, and desktop-wide use of the Tor network, meaning all connections are forced through Tor or blocked. The Tor network helps to protect from traffic analysis by bouncing communications around a distributed network of relays run by global volunteers. Without advanced, end-to-end, NetFlow correlation attacks, an adversary watching an Internet connection cannot easily determine the sites visited, and those sites cannot discover the user’s physical location. Whonix uses an extensively reconfigured Debian base which is run inside multiple virtual machines (VMs) on top of the host OS. This architecture provides a substantial layer of protection from malware and IP leaks. Applications are pre-installed and configured with safe defaults to make them ready for use with minimal user input. The user may install custom applications or personalize their desktop without fear of information leaks that could lead to de-anonymization. Whonix is the only actively developed OS designed to be run inside a VM and paired with Tor. 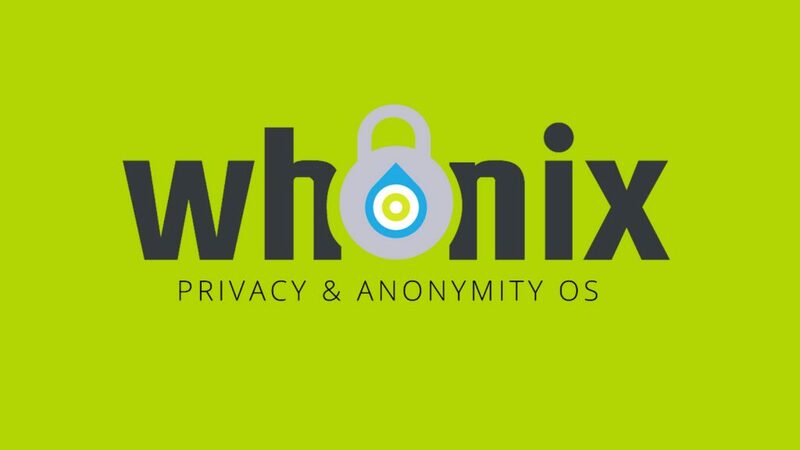 Though technically a “desktop” operating system, the security and anonymity tools Whonix provides also make it ideally suited for hosting secure and anonymous onion services. Only connections through Tor are permitted. Servers can be run, and applications used, anonymously over the Internet. Malware with root privileges cannot discover the user’s real IP address. Threats posed by misbehaving applications and user error are minimized.